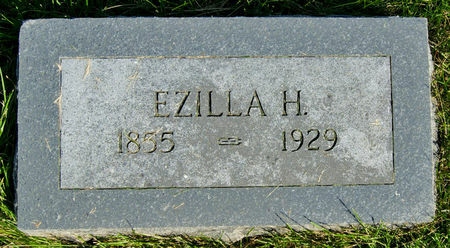 Ezilla Hale, daughter of James Porter Hale and Maria Elizabeth Louisa Hochreiter, was born Sept. 14, 1855 near Winfield, Henry Co., Iowa and died Dec. 5, 1929 in Clarinda, Page Co., Iowa. She married 1) Ephraim Preston McCreight Oct. 13, 1874 at Winfield, Henry Co., Iowa and 2) John Wood in 1919. Searching for EZILLA HALE WOOD in Taylor County Iowa?